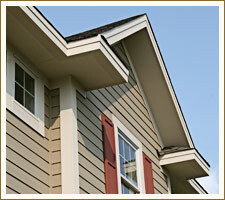 James Hardie Soffit panels are available in a vented and non-vented in a range of pre-cut sizes. As with all James Hardie siding products, they are engineered for climate, so you can have peace of mind that your siding products will stand up to the harshest elements no matter where you live. HardieSoffit panels are noncombustible and come with a 30-year non prorated, transferable, limited warranty.